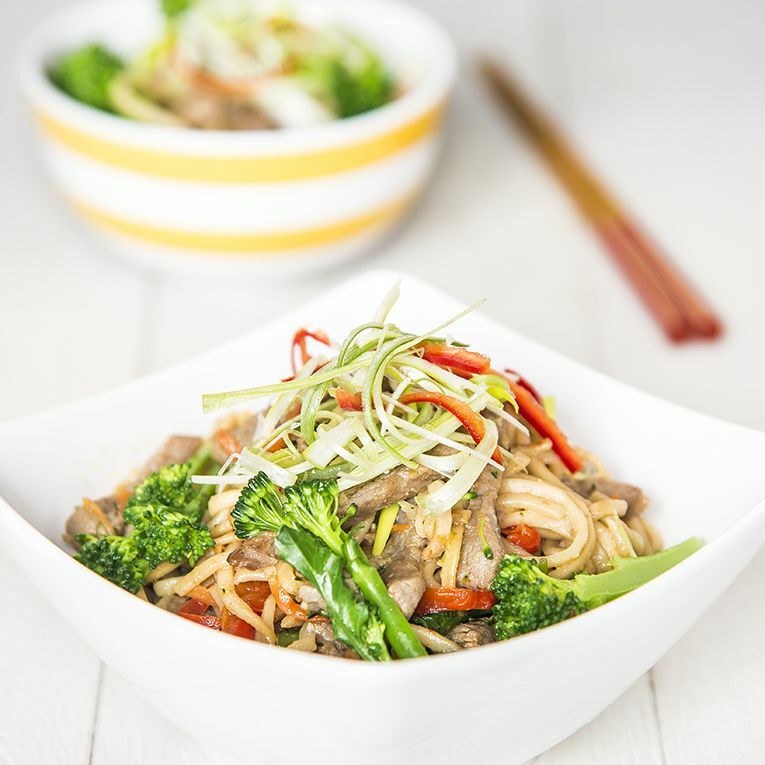 Chinese chow mein is a really popular dish in Chinese cooking and there are many different ways to cook Chinese chow mein. You can have a seafood chow mein, pork chow mein, beef, chicken or whatever you really fancy. Chow mein is also a very easy, delicious and healthy dish. I’m going to introduce you to some easy Chinese chow mein recipe with different ingredients in this article. These are chow meins that I regularly make at home. Boil a pot of water and cook the egg noodle until it’s al dente. Cool it down under cold water and drain the water. Toss the noodle with some oil and leave it aside. Heat up a wok with 1 tablespoon oil and stir-fry the beef for 30 seconds and place it in a bowl or plates. Wash the wok and heat up 1 tablespoon oil and stir-fry ginger, garlic and chili for 30 seconds. Add pepper and carrot and stir-fry for 2-3 minutes. Add egg noodles and stir-fry for another 2 minutes then add all the seasoning and keep stir-fry the noodle for further 2-3 minutes. Add beef and stir-fry for another 2-3 minutes. Dish out. Garnish as desired and serve immediately. Cut the chicken breast into fine strips and marinade for at least 30 minutes. The longer you marinade the better the taste. Cook the Chinese dried noodle in a pot of boiling water until al dente and rinse under cold running water and drain again. Drizzle with a dash of sesame oil and toss through to prevent the noodles from sticking to each other. Heat a frying pan with some oil at full strength gas power to fry the chicken breast until the meat has turned a white colour and turn off the stove and leave it on the side. Heat a wok with 1 tablespoon of oil and stir fry chilli, spring onion, ginger and garlic first then add all the vegetable. Stir-fry all the vegetables until it soft. Add noodles and chicken into the wok and keep stir-fry for a couple minutes then add all the seasonings for chow mein and give it a good stir-fry for another couple minutes. Place it into a plate and serve. Boil a pot of water and blanch the prawns, squid and fish. Remove and plunge immediately into cold water. Drain and set aside. Boil a fresh pot of water and cook the egg noodles until al dente. Drain and toss with some oil to prevent the noodles from sticking together. Set aside. Heat 2 tablespoons oil in a wok over medium heat. Add the spring onion, ginger and onion and stir-fry until fragrant. Add the cabbage and carrot and stir-fry for 2 minutes. Add the prawns, squid, fish and noodles, and stir-fry for another 2 minutes. Add the seasoning and stir-fry for 2 minutes until the sauce has been absorbed.